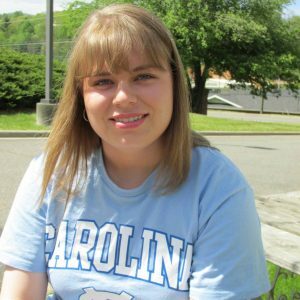 This past summer, I had the opportunity to complete a 2017 Summer Undergraduate Research Fellowship (SURF), which allowed me to bring concepts learned through my studies in the health humanities at UNC-Chapel Hill back to my home in the mountains of North Carolina. 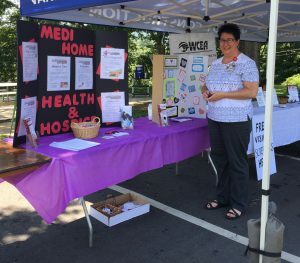 I spent my summer designing and coordinating a health fair for Ashe County, a poverty-stricken area in the Appalachian Mountains, and formulating a health fair model that could be utilized in other rural areas. My research was conducted under the mentorship of HHIVE Co-Director Dr. Jane Thrailkill and in partnership with the Ashe County Sharing Center, an organization that provides food-based assistance to those in need in Ashe County, and Ashe Memorial Hospital, the area’s main healthcare provider. To begin my research, I surveyed one hundred families who came to the Sharing Center for food assistance in the month of June in order to gain demographic information as well as to determine what their health needs and interests were. I also interviewed five people who visited the Sharing Center so I could learn their stories and experiences with healthcare in Ashe County. One person who suffered from a chronic illness that required many hospital stays contrasted Ashe Memorial Hospital with larger urban hospitals and stated that she preferred healthcare in Ashe County because she never saw the same doctor twice in larger hospitals, and she felt that doctors in smaller hospitals tended to be more personal and empathetic. Another person who was diagnosed with a breathing disorder told me about constructing a homemade oxygen machine to aid in his breathing because he could not afford to purchase an oxygen concentrator. When I asked them what characteristics they thought a good doctor should have, their responses were intriguing both for their insightful simplicity and unanimity; every person that I interviewed cited being a good listener as the most important characteristic for an effective physician. My pre-survey also yielded thought-provoking data on the needs of the county, demonstrating that most of the people surveyed were able to go to a primary care doctor, but often experienced difficulties accessing more specialized physicians, such as dentists, dermatologists, or optometrists, because they were unable to afford these services or their insurance did not cover them. I gained a demographic profile of the population of Ashe County that demonstrated the highest need: nearly half of the Sharing Center’s clients were between the ages of 45 and 64, 80% of clients were female, 97% of clients were Caucasian, 37% of clients did not finish high school, and the median annual household income of Sharing Center clients was $5,000- $9,999. I also learned that 40% of clients experienced difficulties receiving dental care, and that some of their main health-related interests were weight and diabetes management and mental health issues, so I incorporated those needs into the design of the Ashe County Sharing Center’s first health fair, which was held on July 19, 2017. I coordinated an initial health fair in order to construct a basis from which an improved health fair model could be extrapolated. 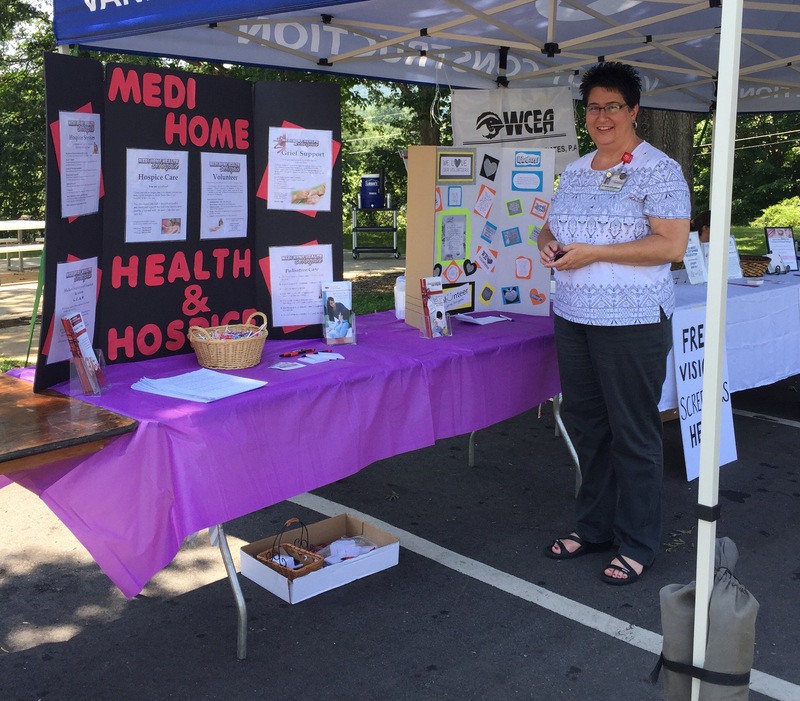 The health fair was attended by over 100 families and hosted seventeen different organizations from across Ashe County that focused on disease prevention and presented information on low cost or free health-related services. For example, the Ashe County Health Department provided information on their new sliding fee dental clinic, Second Harvest and NC Cooperative Extension taught tips for healthy eating, and the Ashe Partnership for Children distributed information on educational programs for children and domestic violence prevention. 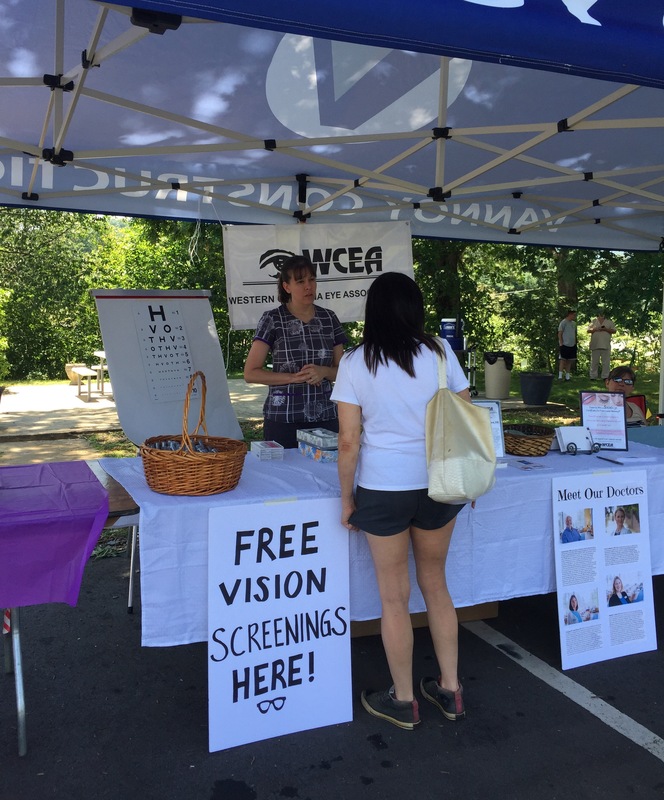 Blood panels, vision and glaucoma screenings, and blood pressure checks were also provided free of charge. I conducted a post-survey of 74 health fair attendees in order to determine which aspects of the health fair had the greatest positive impact and what could be improved. I found that the health fair had a 92% approval rating, with 76% of attendees stating that they planned to make a change in the activities that they normally did as a result of something that they learned at the health fair. I wanted to ensure that my research had a positive impact that extended beyond the summer of 2017, so I shared my data with the Ashe County Sharing Center to aid them with writing grants that are focused on the population that they serve. I also had the opportunity to meet with the CEO and the Community Outreach Director of Ashe Memorial Hospital in order to review my data with them to help the hospital focus and improve their outreach efforts to an underserved population of Ashe County. As a continuation of my work, the Ashe County Sharing Center and Ashe Memorial Hospital are already in the process of planning a second health fair in a more rural area of Ashe County that will focus on improving upon the initial health fair in order to better meet the needs of the community. Emily Long is a junior majoring in Biology and English with minors in Medicine, Literature, and Culture and Chemistry.